A Conference to Mark the Fourth Centenary of his Birth. 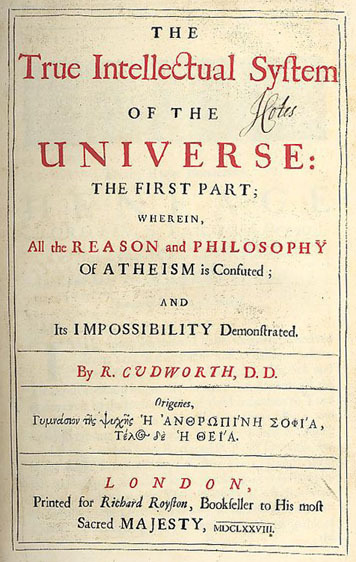 Henry More was one of the most important thinkers in seventeenth-century British philosophy. Although he has never achieved the status of proper philosopher enjoyed by his contemporaries Hobbes and Locke, More’s work deserves to be recognized as a significant contribution to early modern philosophy. He was a figure who relentlessly engaged with the most pressing issues of his time. He intervened in the debate about the new science of nature and medicine, contributed in an original way to the recovery of Platonism and various elements of the classical tradition, left a lasting impact on the literary scene, and played a role in the contemporary religious controversies.